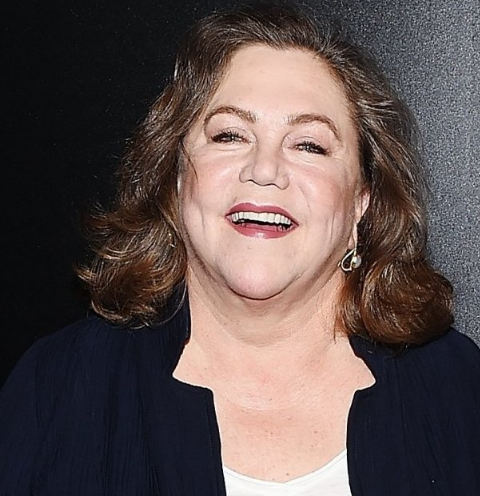 One of the American director, film and stage actress is Mary Kathleen Turner who is famous as Kathleen Turner. She has won two Golden Globe Awards and has been nominated for an Academy Award. She is well known for her distinct husky voice. 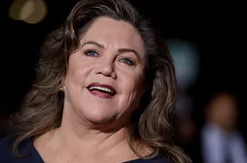 Kathleen Turner’s full name is Mary Kathleen Turner. She is born on 19 June 1954 at Springfield, Missouri. Her father name is Allen Richard Turner who is a U.S. Foreign Service officer and mother name is Pasty Magee. She has two brothers and a sister named as Susan. In a strict conservative Christian household, she was raised. Her interest was performing and it was encouraged by both her parents. She graduated from The American School in London in 1972. Their family moved to the United States after her father’s death. She began volunteering at a local Planned Parenthood office when she was 19. She attended Missouri State University. At the University of Maryland, she studied theatre and received a Bachelor of Fine Arts Degree. She also acted in various productions. Turner’s height is 1.73 m and weight is 61 kg. Her eye color is blue and hair color is light brown. She has a balanced and healthy body. In 1977, in NBC daytime soap ’The Doctors’ she made her television debut. In 1981, she made her film debut in the thriller ‘Body Heat’. In 1995, she was named as the 100 Sexiest Stars in Film History. In 1977, after moving to New York City she took the female lead role in the play ‘Mister T’. She also made her Broadway debut in ‘Gemini’. She was in the 1983 comedy ‘The Man with Two Brain’ and co-starred in the film ‘Romancing the Stone’ in which she won the Golden Globe Award. She starred in ‘Prizzi’s Honor’ by which she again won the Golden Globe award. She also teamed up in the movie named as ‘The Jewel of the Nile’. She was in ‘Peggy Sue got Married’ by which she won the Best Actress award from U.S. National Board of Review of Motion Pictures and was nominated for Academy Award. She did the speaking voice of cartoon female fatale Jessica Rabbit in ‘Who Framed Roger Rabbit’. She also appeared in ‘Switching Channels’ and the song ‘The Kiss of Kathleen Turner’. She had the lead roles in ‘Ghost’ and ‘The Bridges of Madison County’. She had unbearable pain and suffered a lot and ended in a wheelchair. She provided the voice of Malibu Stacy’s creator on ‘The Simpsons’. In 2006, she starred as a guest on FX’s Nip/Tuck. She was increasingly seen on television doing small or major roles. She provided the voice in animated film ‘Monster House’. She had the roles in Broadway by which she earned the Tony Award nomination for Best actress. In 2012, she appeared in ‘Red Hot Patriot’ and did the small role in Arena Stage. In 2016, she played in ‘The Year of Magical Thinking’. She has worked with Planned Parenthood of America and there she became a chairperson. She was John Kerry’s first celebrity endorsers and a frequent donor to Democratic Party. She also published a book. In the book, she claimed that Nicolas Cage had been drunk and stole a Chihuahua that he liked. And then Cage filled a case against Turner. Cage argued and won the case which resulted in legal fees and a donation to charity. Later Turner apologized for the distress that she might have caused Cage regarding an incident that took place 20 years earlier during an interview on ‘The View’. Turner was married to real estate Jay Weiss who is the entrepreneur. They had one child named as Rachel Ann Weiss who was born on 14 October 1987. But they had the divorce in December 2007 officially. Turner’s net worth is estimated to be $20 million dollars.